November 22 1963. For decades afterwards, most Americans, and many people around the world, could respond instantly to the question: “Where were you when you heard the news about the Kennedy assassination?” The shooting was regarded as a ‘flashbulb moment’ indelibly fixed in personal and national memory. Half a century later, most Americans, and most of the world’s population, have no memory of the event; they are too young. What they know instead is that mystery surrounds the President’s death. Who killed President Kennedy? Why did the Warren Commission lie? Why did Jack Ruby murder Lee Harvey Oswald? Why are there so many different theories about the assassination? Nearly 50 years to the day after the assassination, Professor Peter Ling, head of American and Canadian Studies at the University of Nottingham and author of the new biography John F. Kennedy, is to deliver a public lecture that will offer a guide to some of the conspiracy theories that have gained credibility in the last half century. These will include the allegations made most influentially by Oliver Stone’s movie JFK. Stone argued that the assassination was in essence a coup. Kennedy was killed by a conspiracy that included the CIA, the US military chiefs, the FBI, and probably JFK’s successor, Lyndon Johnson. They killed Kennedy to protect the military-industrial complex that had come to dominate US society and their success ensured that these warmongers would profit from the subsequent Vietnam War, at enormous cost for many Americans, and many more Vietnamese. The lecture will consider the role of the Warren Commission, established by Lyndon Johnson, which reported in 1964 that Kennedy was killed by a lone gunman, Lee Harvey Oswald, motivated by a desire for fame rather than by political objectives. The Commission also concluded that Oswald himself was murdered by Dallas nightclub owner Jack Ruby in an act of patriotic fury spurred by sympathy for the President’s grieving widow. Most Americans no longer believe these claims, but Professor Ling will explain why the Commission espoused the lone gunman theory. The lecture will deal with the conspiracy to conceal facts about what happened as well as the hidden conspiracies that lie behind Kennedy’s death. It will consider why even the Kennedy family was anxious to manage the investigation to conceal certain facts, and why governmental agencies like the FBI and CIA operated in a way that has fed half a century of cynicism and suspicion. 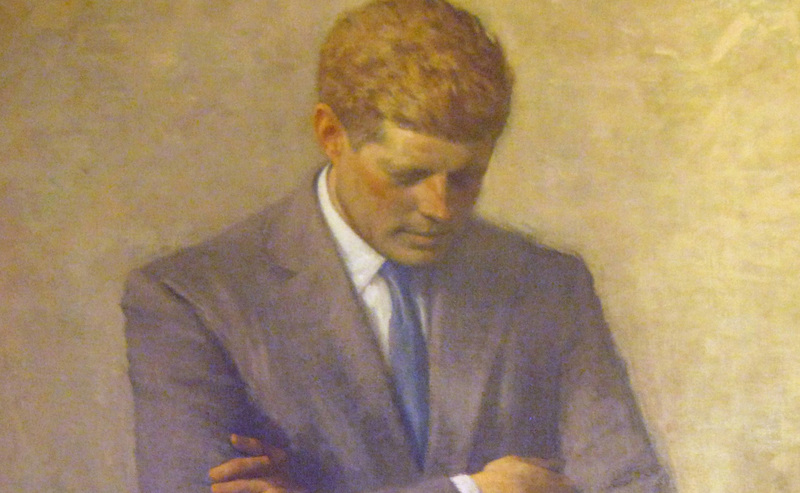 In death, Kennedy became a liberal icon, a President who symbolized American ideals, apparently poised to reach out internationally for détente, to press his countrymen to pursue racial justice, and to turn the nation’s priorities to the fight against poverty at home and abroad. As Professor Ling will explain, each of these noble causes faced formidable opposition, providing a partial roster of enemies who may have plotted Kennedy’s death. Since the 9/11 attacks, another flashbulb moment has displaced the Kennedy assassination in popular memory. Yet the dissatisfaction with official accounts and the circulation of alternative conspiracy theories about that event seem rooted in the horror and cynicism that the crimes of November 22, 1963 spawned. This event is now fully booked but there’s no reason to miss out: catch the lecture virtually by watching the live webcast from 6pm on Wednesday November 20.